As I said recently, I’ve been writing less here for a number of reasons. One is that I’ve been asked to write on other sites. 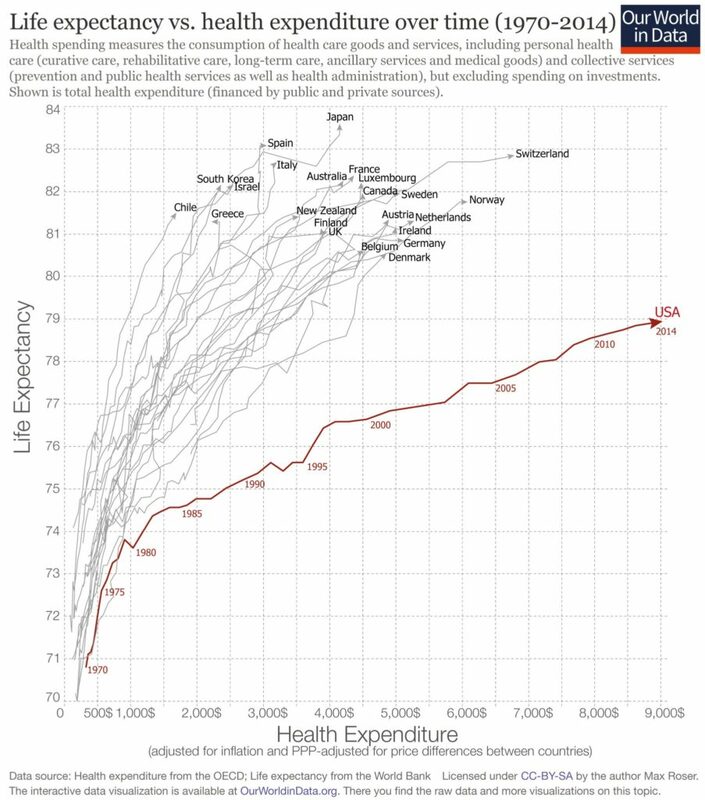 Another, a sobering factor, as that after years of study, I’ve concluded that the American healthcare system has tied itself in a fatal knot. The post shown here, on the Patient Power blog, is an example of both. It’s about my conclusion that while all the many, many great doctors and nurses and administrators do their best to save people like me, the system has become lethal. I don’t say that lightly, but I truly believe that you and I need to understand this, because it is killing people despite the best efforts of good medical professionals. While good people work hard at the local level, at the system level the incentives are perverse. When your turn comes to get good care, you need to understand these pressures, because all hope is not lost, but you need to know what you’re dealing with. That guest post, American healthcare: a malignant tumor that can’t stop killing its host, links to several others I’ve written this year and in the past. Here’s the first paragraph, and the headings in the post, and the conclusion. The system wants to grow, and is good at it. Bottom line, price and value are out of whack. Result: toxicity. See what I mean? All the things I’ve been learning and observing have come together in what is frankly a pretty nasty picture. It’s not at all that doctors are gouging us; it’s the US for-profit health system. Every health system in the world has challenges of various sorts, but none has the problems we face here. Don’t believe me? Go look at this Facebook post and see what an American living in Australia recently paid for three days in the hospital: $27. For the meds. We can do better, folks. But what to do? Others are working at restructuring incentives, but if you need help now, that’s no use. Until things change, see the conclusion of the Patient Power post for my recommendation: learn how to express your belief that while you love good healthcare, costs are important too. I say go for it. If nothing else, it’s hard to deny that we’re in unstable times, and you never know what might happen. Besides, I believe in expressing ourselves! Does my heart good to see you both acknowledge the skill and commitment of the doctors who saved your life (as mine have saved mine — twice), while at the same time shining a big spotlight on the systemic ills of our health care institutions. Preach it, Dave!!!! That’s appalling and all too unsurprising. Did you get an itemized bill for the $14,700 that could be posted somewhere for people to see? I keep encouraging people to ask “What will this cost me?” and not take “We don’t know” for an answer. Sooner or later it will get ugly and the upsets will lead to SOME change – even though it might be the worst case, where hospitals start hiring security guards to fight off money questions. So sorry you (especially your son) had to go through that. $3k and the rest was paid for by the insurance.